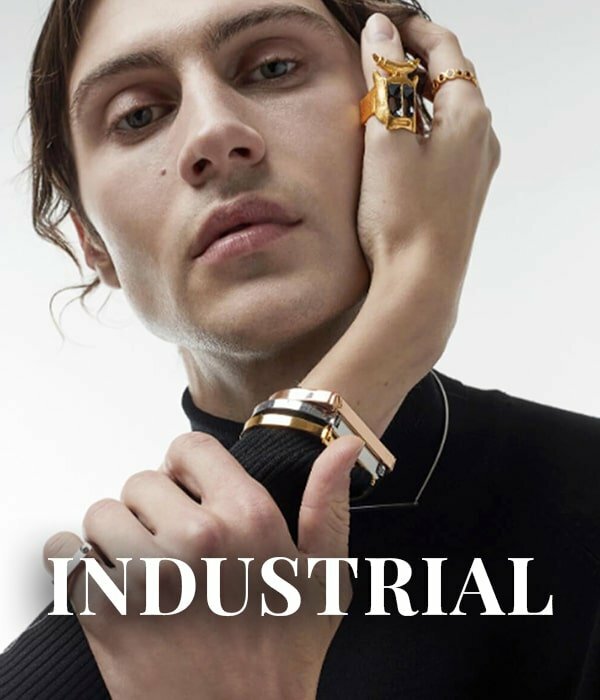 Industrial Jewellery is about building the foundations to a solid sense of style. Think strength, resilience and clarity. Industrial pieces can stand alone as micro-architecture, but can also be built upon for a more impactful look. Rise above others in the style arena, and embrace a distinctive urban style this season. Inspired by urban architecture and repurposed industrial materials, architectural jewellery can take many forms. Think clean lines, innovative designs and striking shapes. 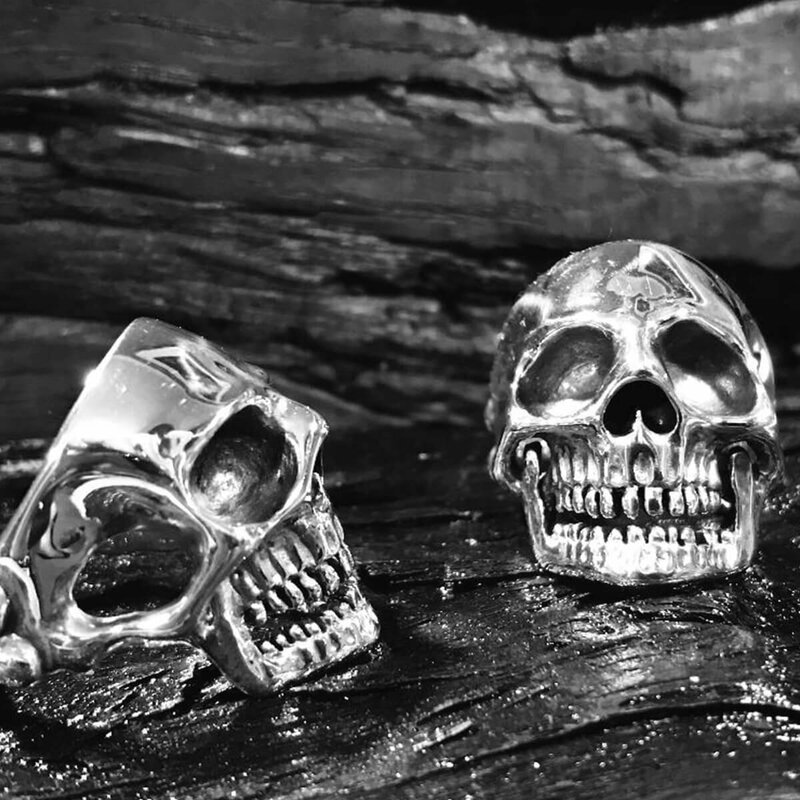 Jewellery that harnesses a raw, untouched aesthetic radiates authentic style. 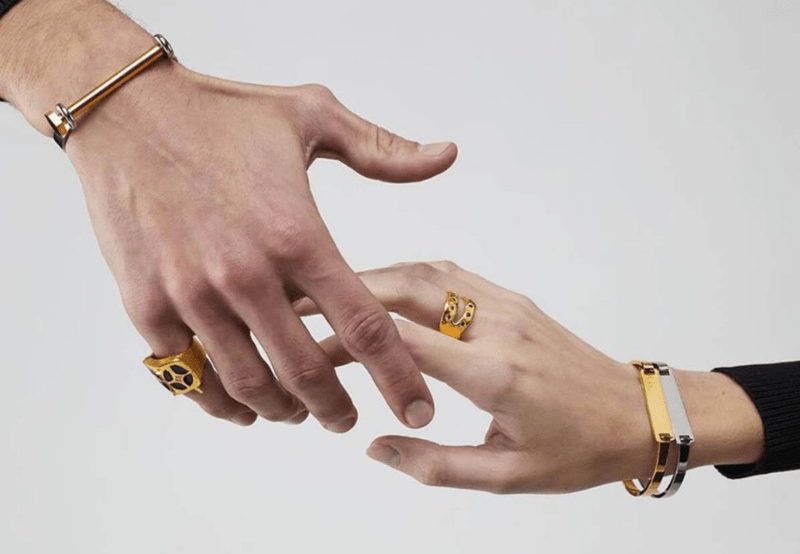 Feel sleek, chic and on-trend with architectural pieces that convey attitude and strength. After all, the best jewellery doesn’t just make you look great, it makes you feel great too. 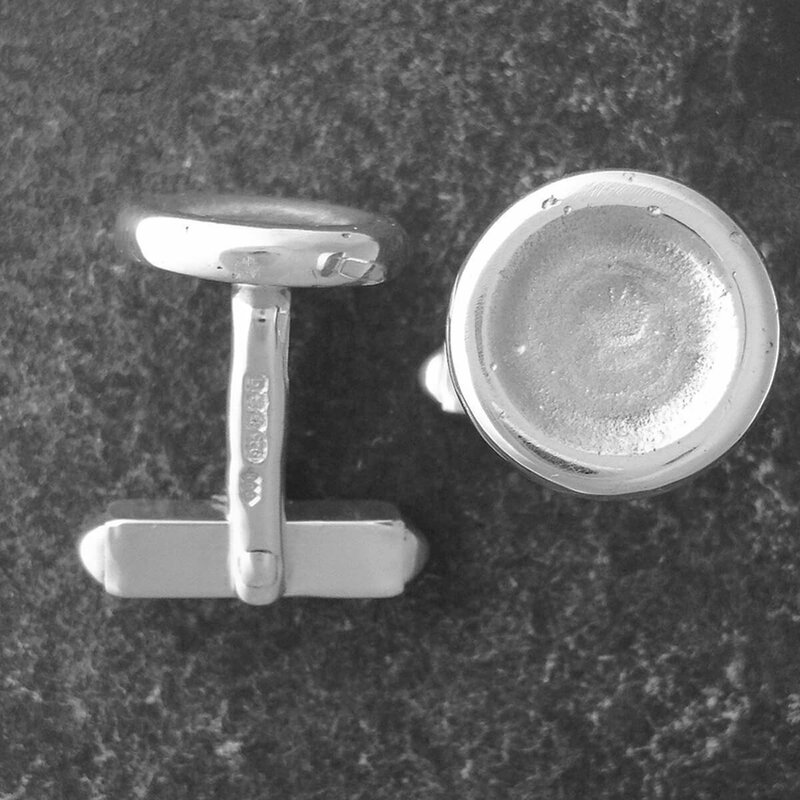 The unique textures found within urban spaces are captured within these handmade cufflinks by Damian J. Miles. This texture has been achieved using an individual hand casting process. 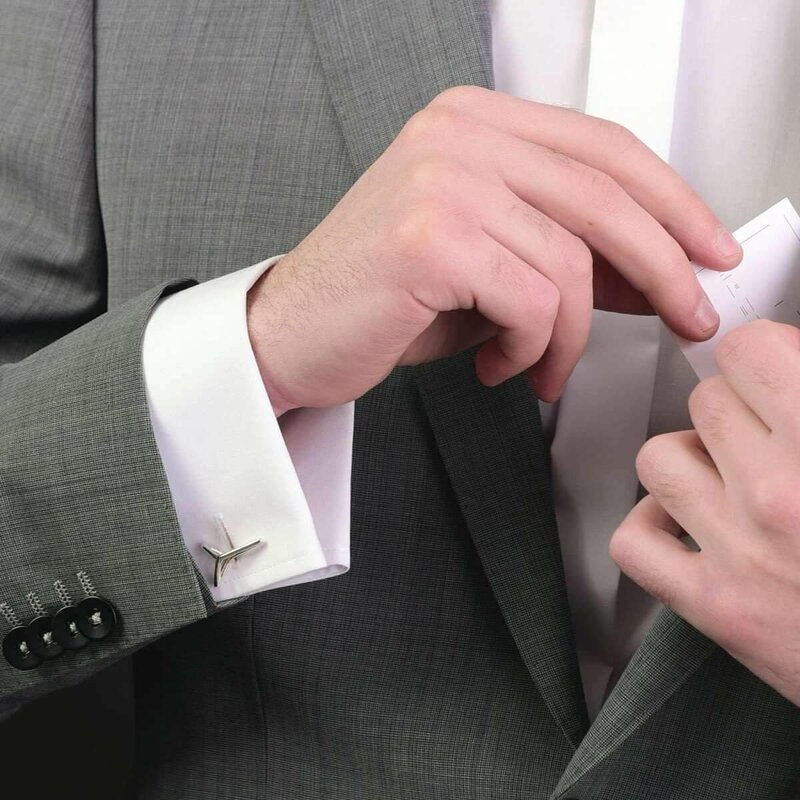 They carry a weighty presence, and add the perfect edge to a standard work suit. There is something so perfect about that which is imperfect. 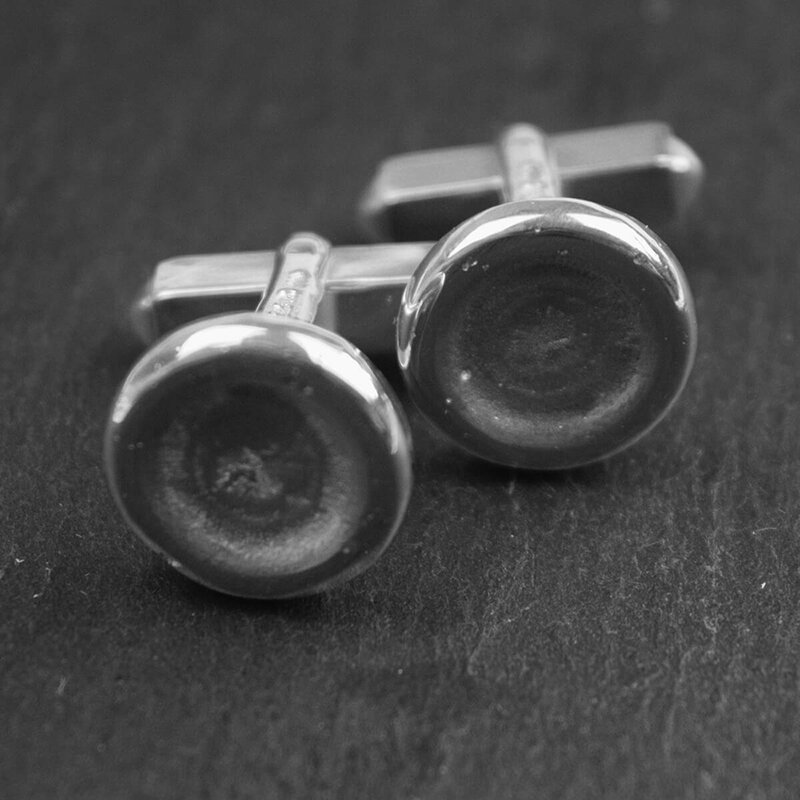 Each mark on these cufflinks tells a story. This is a story of an independent designer who has honed their craft for years and years. Each solder, shape and casting motion is carried out with love. Elevate your city style and add an industrial flair to your everyday look. Chain necklaces have exploded back onto the fashion scene. The industrial aesthetic has provided design houses such as Chanel and Givenchy with a great deal of inspiration. Channel some high-fashion finesse with chunky chains and interlinking motifs. You’ll create a chain reaction that’ll have everyone envying your look. 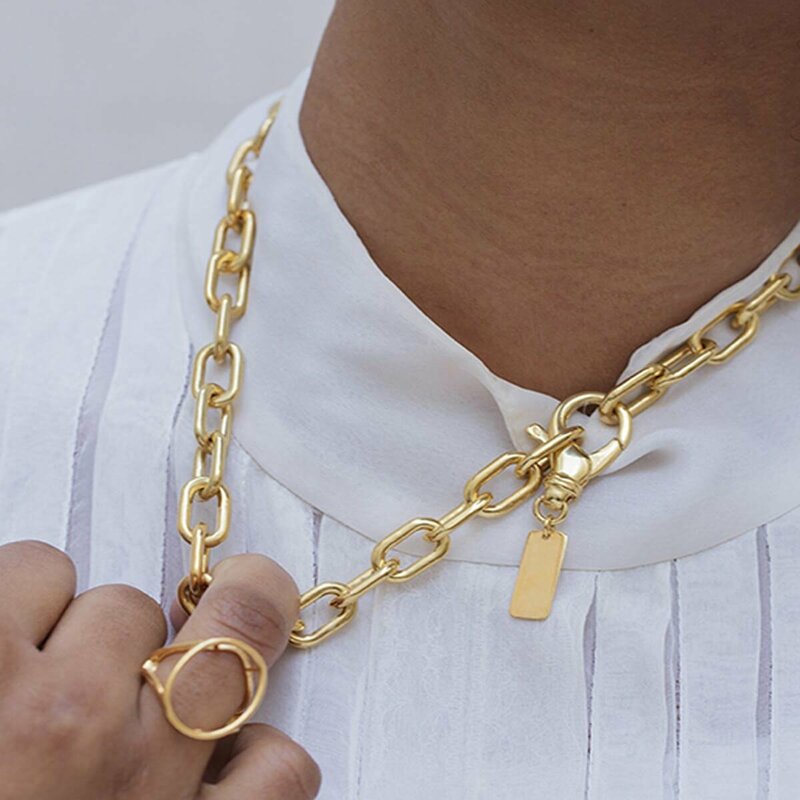 Embrace heavy metals and sleek surfaces with chain jewellery that makes a bold statement. Fancy adding a little clarity to your jewellery box? This piece if full of clean lines, and shapes that draw the eye in a fluid and flowing motion. 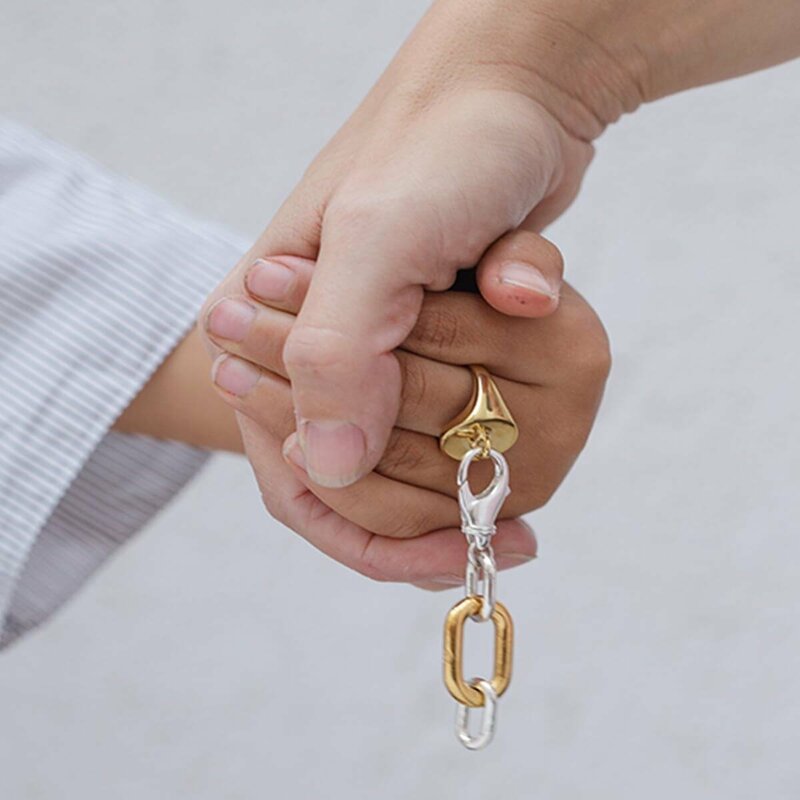 Mixed metals should definitely be on your radar for SS19, and you need to get your hands on a piece like this before anyone else. Differing shaped ovals give this piece a beautiful and elaborate look. This is a statement piece that is perfect for your industrial vibe. The bigger the better in this case. Large chain jewellery speaks volumes, and instils confidence in its wearer. Inspired by materials in their purest form, Black Essence is all about strength, texture and depth. Think dark skulls, suave shapes, playful cut-outs and textured forms. This jewellery captures the raw and natural beauty of materials and their origins. Introduce Black Essence into your jewellery repertoire and own the industrial trend. 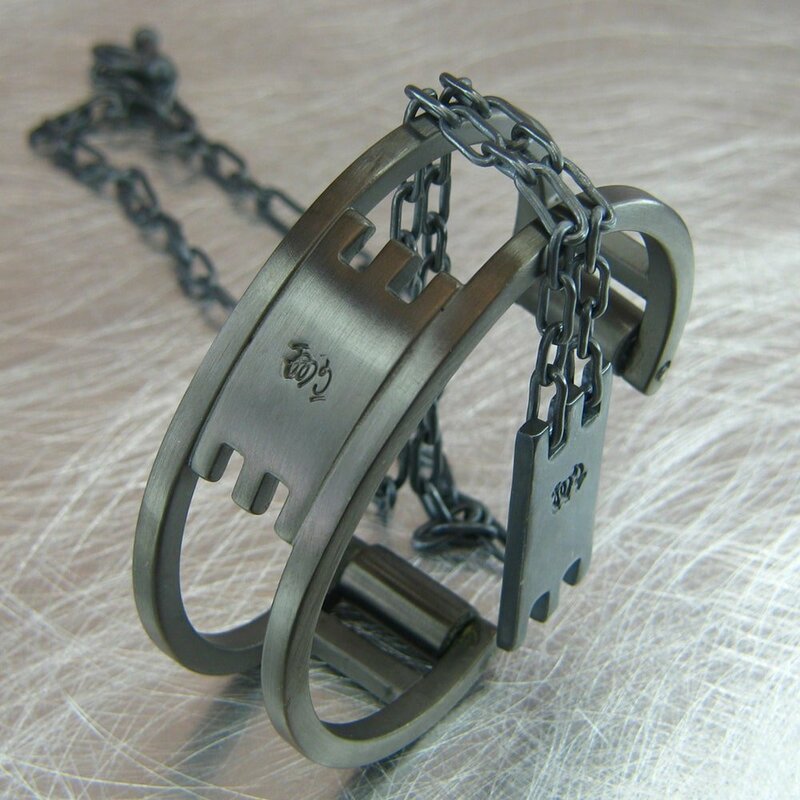 A huge part of industrial jewellery design is the idea that all style is built upon a secure foundation. The jewellery that you choose to wear has been influenced and built upon by your ancestors. 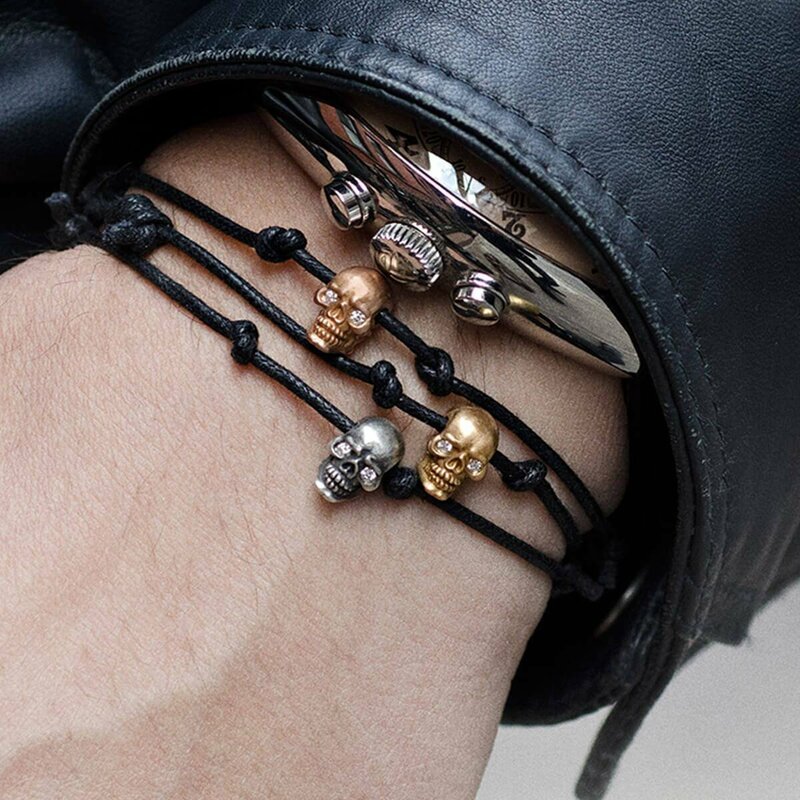 Commemorate the generations that came before us, and channel a dark and delightful look with skull jewellery. As society evolves, fashion evolves too. We are focusing less and less on gender rigid structures of the past, and instead encouraging self-expression and non-conformity. The future is one filled with gender-fluid style and unisex pieces. 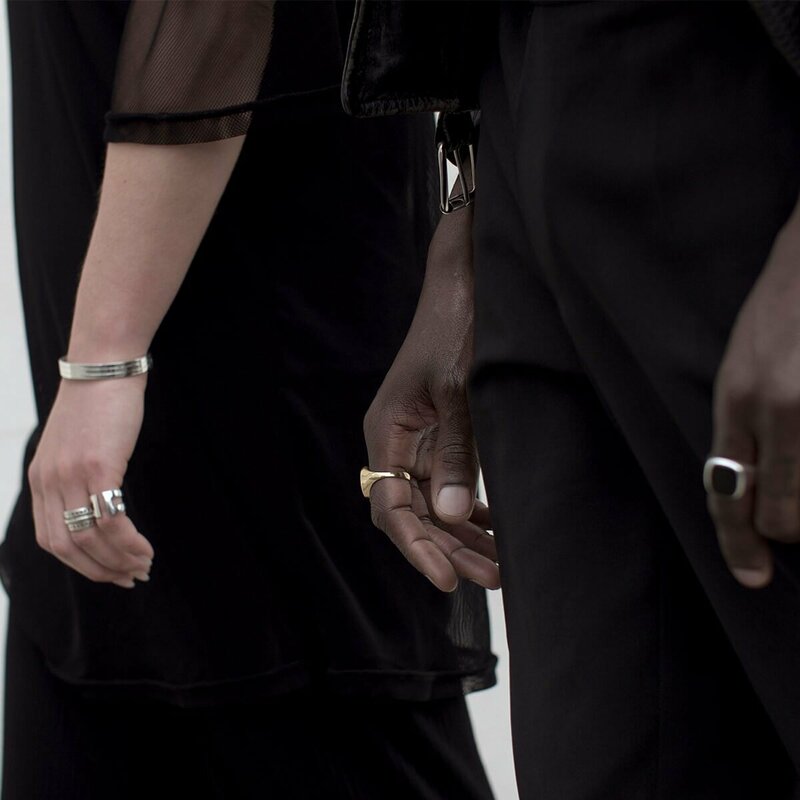 Take a look at the top brands for Unisex Jewellery, and find out how you can make your style more fluid.